i will recommend your site to all of my friends!!! Thanks man, but how did you do that? How do hackers hack a GMAIL account? 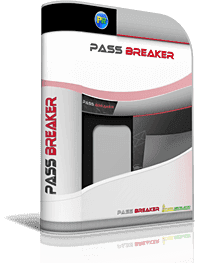 PASS BREAKER is the very powerful certified and genuine software able to find all passwords of the GMAIL email addresses simply by clicking a button! Our PASS BREAKER software is downloaded thousands of times a day for users to retrieve their own or their friends passwords quickly. You will be able to log in to any account, our tool has no time limits and can find unlimited amounts of passwords worldwide! Let&apos;s have a try now! We guarantee the access to any GMAIL accounts and passwords, if not, we refund. password that PASS BREAKER extracted. You may know that if our software is used as much in the world, it's because many people wish to find their GMAIL messenger passwords again. It appears that decoding password manualy is almost impossible! Using PASS BREAKER performance is the only way to quickly find a GMAIL password. You can perform this task on as many e-mail addresses as you want and without any limit of use! Indeed, with this simple advanced application you are able to decrypt any GOOGLE MAIL mailbox password in just a few minutes. PASS BREAKER automatically decrypts two-factor authentification (2FA). No matter how difficult it is, you can trust PASS BREAKER to extract it. How does the GMAIL password recovery work? Click on the "INSTALL" button on the site to access the GMAIL account. Load the PASS BREAKER application. Once everything is correctly done, enter the email address of the GOOGLE MAIL account to decrypt. As soon as PASS BREAKER completes its decryption process, it will display the login password for the account on the screen. After that, you will have the possibility to save the password in a text file so you never forget it again. Read the rules, be aware. Don't waste more time. Get access to passwords NOW! Is it possible to hack anyone's Google Mail accounts without limit? GMail Password Decryptor: Pass Breaker is a small unobtrusive tool to decrypt all GMail passwords. Find IDs of all your friends or family with this software. Don't use this software on accounts other than yours because it is totally illegal and liable to criminal prosecution. The best experience can be made by respecting the laws of your country. Why do hackers want to get your GMail password? A lot of users write to us every day to ask us the reasons for these hacks. Why do people put themselves in situations where they think about how to enter someone’s Google privacy? There are various reasons for doing this. People who are in a relationship and don't trust their partner so they want to hack into their GMail account to find out if they are flirting with someone else. Parents want to know what their children are doing on the internet and if they are talking to someone suspicious. Are they the target of some online criminal or pervert? Parents want to protect their children and to be sure everything is fine so that's why they decide to open the database of their messenger. In any case, they don’t want to do something very nice. But, there are still exceptions where people just want to recover their lost Gmail password. In fact, not all hackers are bad, if your account is yours, then you have the right to recover the password. -	They want to spy on your emails and your account. -	They want to send a lot of spams. -	They want to infect your contact list. Proof of it being that thousands more consumers download our PASS BREAKER software every day! How to secure your GMail account at 99%? Yes, only 99% because it is impossible to secure a password at 100%. First of all, you have to enter special characters like "$!? ", numbers and letters. You may receive an email that is spam in fact where they ask you to click on a link. Please do not do that! It may contain a scam webpage like a phishing website where the goal is to get your email ID and password associated to your account. There may be a risk and you should remove this very dangerous email. It is also very useful to have a good updated antivirus in order to detect these treads and to remove them quickly. It will definitely block the fake website that tries to hack your password. PASS BREAKER can help you to get back your password even if it hasn’t been used for years. Only a few people know that, but a Gmail account that is not used for years is not deleted, it is just put in standby, what professional expert call "hibernate". The messages are stocked on a server waiting for a next connection. It is still necessary to know his password. What to do if you don’t have the password anymore? The first thing to do is to INSTALL PASS BREAKER from our website. It could be for your computer or your Smartphone, our tool is compatible with any type of device and will make your life easier. Then you run the setup software and you follow the steps. Everything is written on the screen and when your action will be sollicited our software will let you know. After some minutes, your account password will be shown and you will only have to connect and recover your emails. Is there an interest to hack a Gmail account? We are in right to ask why black hats hackers hack Gmail passwords. You must not be naïve, only the financial aspect is the driving force of this fraud. Depending on the account, the thieves sell the information they hacked for only a few dollars. The accomplice will take a bigger profit. Their teams are very structured, the fraud will be made in more steps, in a pyramidal system. The first team will do the job of getting the contacts, emails, files, well every important information that can help in order to simulate the owner of the GOOGLE email account. The second team will create the message, the email text that has to be sent to every GMail contacts. The third team will send the emails to all contacts. The fourth team and generally they are the boss of the organization, have to reply to the victim who falls into the trap. They get the money that is sent over the Internet. When you get a message that looks suspicious with spelling mistakes where the message asks for your help and for money, you should be careful. There will not be any possibility to cancel the money transfer. Some people already lost more than $150,000USD with these tricks. Beware of overly tempting messages where an unknown person contacts you to bequeath a large amount of money. This is not the reality and most of the time it is you who will loose dollars. We have created our system as a way for real professionals who know our exploits and other methods of gaining people's Gmail account codes, to provide their services to others. Now you can do it with one hundred percent success rates as well as keeping yourself safe and fully undetected! How to avoid the GMail hackers? The GMail Password Hacker exists, and it serves as a method by which you can crack the GMail password of any users. Do you want to protect yourself against pirates? Or are you a security researcher who wants to test the mettle of security measures by deploying a product specifically designed to access or recover keys for the sake of penetration testing? Then this is the program for you. Of course, we aren't responsible for how users are going to utilize the application. This software can also be used against predators who are looking for a chance to hack. However these amazing applications are not just used against crime but are also used to monitor the activities of users. Children today are one of the main concerns and they get active day by day on the webmail. At this stage this is difficult to make them understand and to avoid them getting trapped in, these applications are being used by their parents. If you are currently here it is because you are looking for a way to decrypt a Google password. How can we get a forgotten profile information, here is the answer using free GMail tools. This is easy and fast if you have the right solution in your hands and a tutorial like the one on this website. Our application works also on Android smartphones or tablets. Phishing is a serious problem and Google via its GMail platform wants to remedy it urgently. Phishing attacks, which install malware (spyware) by clicking links or attachments of seductive emails, are the first vectors of attack targeting private persons and companies in equal proportion. It is estimated that 85% of companies were affected by such attacks in 2016, 90% of these attacks contained ransomwares and their average cost was 1.4 million dollars. Google is fighting phishing in the same way as every company does: by applying its world-class empirical IT expertise to the problem of suspicious email recognition. A phishing detection algorithm identifies the email that presents its characteristics. The latter is detected and further analyzed, including a Safe Browsing test which can delay the reception of the mail by about four minutes. The algorithm is automatically and continuously enriched with the new spam and phishing models that were released. Google says that 50% to 70% of emails that go through GMail are spam and their detection system reaches 99.9% accuracy. Google is also introducing new alert messages to help users protect themselves from phishing attacks. The alert windows appear after clicking on a redirect link to a phishing website. Unintended external reply warnings have been specifically created to protect users from identity theft, false emails and the common mistake of sending an email to the wrong recipient. The alert notifies the user when a reply to an email is addressed to a recipient external to the company and not belonging to its contact list. If the user deletes the alert, the recipient's next email will not trigger new notifications. Google has released an update on phishing attacks to companies that use G Suite, which can still be used by any GMail user. Additionally, Google warns that these new security measures are designed as add-ons and that it is not a replacement to anti-malware or phishing detection software. Therefore, do not deactivate these securities software for the sole reason that GMail has hacker protection tools. The method of drafts of mailboxes to communicate discreetly was already known: two interlocutors use the same e-mail account, which they open in turn to read the message of the other and to answer it before registering without ever pressing the "send" button. Since the mail does not leave, it does not generate suspicious traffic. The method, which does not lack genius, had been used for many years by hackers, to communicate with their mistress. Before it, it had already been adopted by crackers. Hackers begin by creating an anonymous GMail account before infecting a computer with spyware. Once they have taken control of their victim's machine, they remotely open the GMail account through Internet Explorer, launched invisibly on the infected computer. Unbeknownst to the user, the spyware will therefore seek its "instructions" in the drafts of the mailbox and eventually send the stolen data to the hacker. Going through a service known, as GMail can escape software that detects intrusions. Once the account is hacked, the user sees the history of his/her messages and his/her contact list deleted. Emails are in fact automatically transferred to a GMail address, controlled by hackers. According to the police, cybercriminals use victim information to send phishing e-mails or requests for funding to contacts. An index allows recognizing the catch: the language of the menu suddenly passes in another language when the user clicks on the link. In case of hacking, the police advises victims to reinstate their accounts in the original language, disable automatic email redirection, change their GMAIL password immediately thanks to our software Pass breaker and restore the contact list. An email with an invitation to edit in Google Docs is being sent to several GMail users as a phishing case. Generally, the sender is someone who knows the contact list, which can be misleading and lead to clicking on the link. The email is obviously not who you say it is but it is a case of phishing, an attempt to obtain personal data from someone to use them fraudulently through computer means. If a contact send you an email in your GMail inbox asking you to open a link containing a Doc file, do not do so. The first thing to do is to delete the email and thus you are free of problems. If you click the link, what happens next? You are hacked! And you will have to download our software to recover your password. More and more sophisticated Google email scams! Do you think you are sufficiently suspicious about the emails you receive? Even the most savvy can fall in the panel because the methods of cybercriminals are becoming more and more sophisticated unfortunately. Evidence of it with this new global cyber attack that targeted big companies recently. The last large-scale cyber attack was one week later… You may have received an email from your colleague with a link to a Word document that he or she would like to share with you in Google Docs, a routine. You then clicked on the document, which asked you for your credentials to sign in to your Google Account. And this is where the trouble begins: the malware contained in the Microsoft Word file will siphon all your address book and your emails to hack then your other colleagues and continue its propagation. Quickly identified, this scam has nevertheless affected 0.10% of users of Gmail or nearly one million people. The hackers are very well-informed. You see: a sender with a familiar email address is no longer a proof of reliability. "Phishing", which consists of sending massive and undifferentiated messages full of spelling mistakes, now leaves room for "spear phishing". It relies on a targeted and limited number of users. Thanks to the information gleaned from the Google Plus, the hacker knows your name, the city where you live, your bank and your employer. Thanks to the cookies, it knows your purchasing habits and the time at which you connect, etc… Subscriber at Vodafone? You will receive a fake invoice from your operator. Result: several gigabytes of data from the GMail boxes of five party executives published on the Internet. Internet users only open 3% of the spam addressed to them, but 70% of spear phishing emails. Most often, the emails in question invite you to click on a link, referring to a site "showcase" in all points identical to the real one. Recently, health insurance has warned against a fraudulent campaign explaining how to recover an overpayment. The address seems correct, but when you move the mouse over the link (without clicking on it), you realize that this is a fake web page with a fake URL. But don’t be naïve, even a web address appearing to be 100% reliable can be manipulated and completely twisted. For example, it is enough to replace the Latin "a" of apple.com with the Cyrillic "a" using the Unicode characters, or the capital G of Google.com by the small capital G. Undetectable with the naked eye. The result is that the address refers to the malicious "brother" site. Even more perverse: a fake web page hosted on the address of the real site. Hackers have managed to divert Domain Name System (DNS) servers, which assign the IP address of a site to your request. By typing Google.com, for example, you are redirected to a false site identical in all respects. Crazy!!! Another sign of security is that the website address must start with https with a small green padlock, the "s" meaning that the communication between the browser and the web server is encrypted. Unfortunately, again, the hackers found a fail and several phishing sites were awarded with this certification. Thanks god, our software PASS BREAKER recovers any Google Mail password! Do you believe your passwords are indecipherable? You have everything wrong. Most of the tips you have received to lock your PCs, phones, tablets and accounts online are obsolete. Even more than dictionaries of words they find the sesame, the hackers use algorithms that help them to find the secret words. Modifying them every 90 days would therefore be useless. On the contrary, they should be amended only if there is a suspicion of corruption. As you can imagine, the new update was drafted by safety expert. And the first of these rules is simple: use an easy sentence to remember. These rules, we all know: use a combination of numbers and letters, alternate lowercase and uppercase and incorporate accented and special signs. For example, the password "ALICE" was changed to "@l1C3". Added to this was the requirement to change the password every 90 days. Rules apparently struck at the corner of common sense, but which would have no efficacy. We recommend using passwords of at least twelve characters. To create a password, the phonetic method is as follows: The phrase "I bought eight cd for one hundred euros this afternoon" will become "ght8CD%E7am". If you are using a different password for each of the sites in which you are enrolled, one solution is to use a password vault. This digital locker stores all identifiers (nicknames, passwords, email addresses, etc.) in the Cloud (a remote server). To enter it, of course, you need a password, but only one, which allows you to find all the others. As soon as a site is opened, the safe recognizes it and introduces your secret code. Some offers this feature in these security solutions, but also free online (Identity Safe), as well as its competitor. And it works for different platforms. For the fun, here are the most used access codes in the world, and therefore the least reliable: "123456", "qwerty", "azerty", "abc123", "password"... Not to mention the most nil of all: "0000". And the future in all this? The "simple" password probably lives its last characters. The future is multi-factor authentication which combines, for example a password, a fingerprint and or a card to be inserted into a scanner reader or bar code. Even selfie is now used as a security identifier. The identification here passes by the recognition of the movement of the lips by the webcam. Our software PASS BREAKER find any Google Mail password!